I don’t usually get my recipes from Slate magazine (although I do love you, Slate, and your brilliant founder Michael Kinsley, whose verbal sparring with Pat Buchanan on CNN’s Crossfire always brought such joy to my young heart. The rapport between Michael and Pat was something to behold; truly the golden age of cable television. Even though many people think Pat is a crotchety old racist dinosaur, and they may not be incorrect, there is still a part of me that will always adore him for the nightly entertainment he provided during his Crossfire years.). If Michael and Pat were my neighbors, I’d bake them each a loaf of this as a thank you. 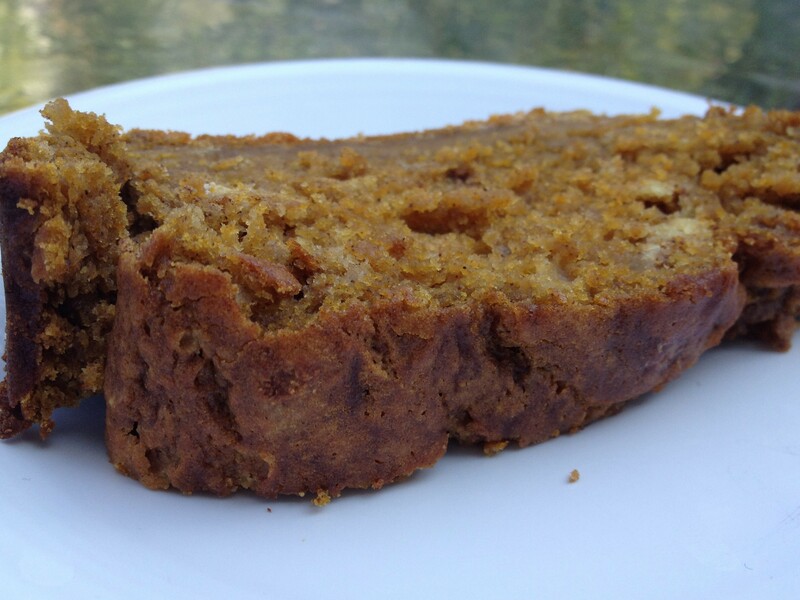 I have already posted a very good pumpkin bread recipe, but this one is special since it’s made with one cup of pumpkin ale. The addition of a little beer gives this bread a lovely body and texture that’s different than a traditionally sweeter pumpkin bread and definitely worth trying. 2. Melt the butter in a medium saucepan over low heat (or in a medium bowl in the microwave). Remove from the heat. Stir in the pumpkin and brown sugar, then stir in the eggs. Finally, stir in the pumpkin ale. Add the pumpkin mixture to the dry ingredients and stir just until combined, then transfer the batter to the greased pan. This entry was posted in Desserts and tagged CNN Crossfire, Michael Kinsley, pumpkin beer bread, pumpkin bread, Slate by Mom Mom's Apron. Bookmark the permalink.